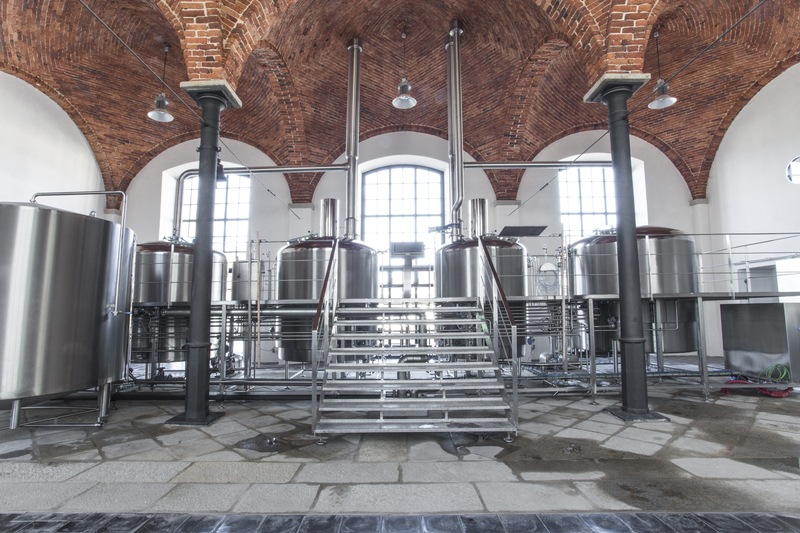 Microbreweries with a capacity of 100 – 400 hl per year | Destila s.r.o. 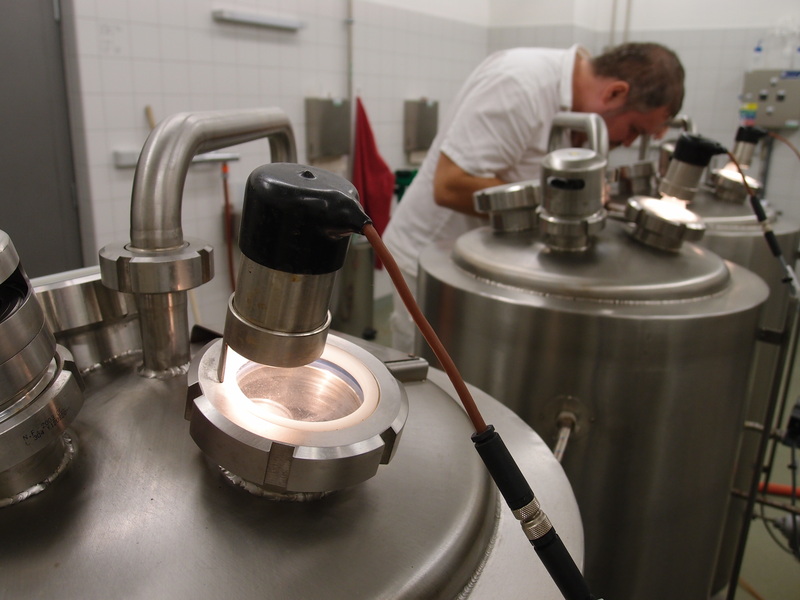 DESTILA microbreweries are primarily intended for technology centers of secondary schools and universities focused on teaching brewing technologies. It is possible to brew beer both by decoction and infusion! The device is designated to be used for both teaching and training programs. all the necessary peripherals (malt scrapers, hot and cold water tanks, sterile air, glycol cooling, CIP stations, piping, electrical wiring, and measurement and regulation). 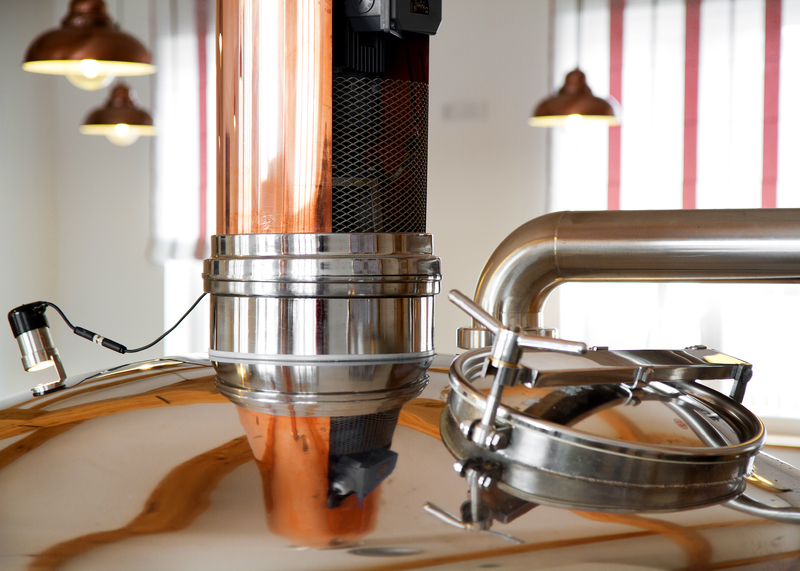 possibility of semi-automatic or manual control of the production process of the batch and fermentation of the beer. DESTILA microbreweries allow you to brew all types of Czech and European beers. Preparation of malt grist – dual-roll grinding mill, scales. Dual-tank boiler block and wort cooling – wort mash pan with an integrated churner function, decanter, single-stage wort cooling, condenser, control panel, heating boiler, pump, temperature control, aeration cartridge. Oil –oil is heated in an electrolytic boiler, which is located below the brewer platform or recessed below the brewer. Steam - steam is produced in an electric steam generator. 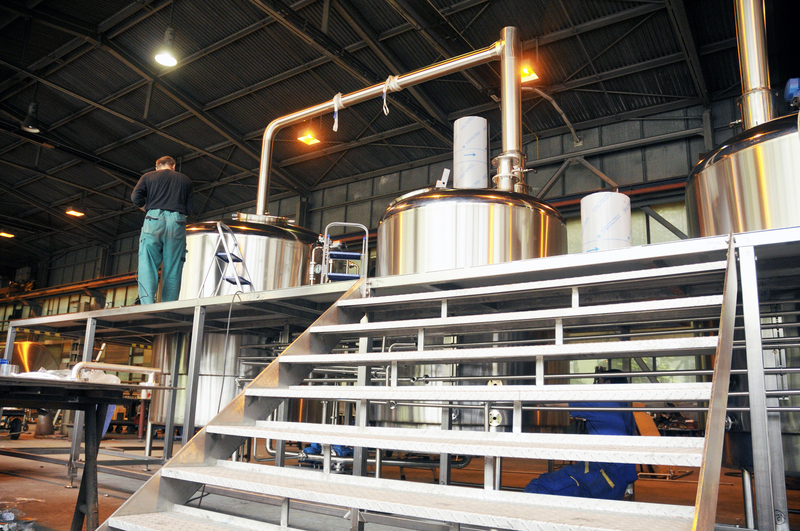 We can put together a functional technological brewery unit for your needs. We actively cooperate with the designer of the building. Our technicians will prepare the most suitable layout of the vessels at your premises. We organize our own equipment delivery, assembly, putting into operation, servicing and staff training. We will perform an initial inspection of the supplied pressure vessels. Up to 40,000 hl of quality barrel or bottled beer annually for a network of restaurants and shops.